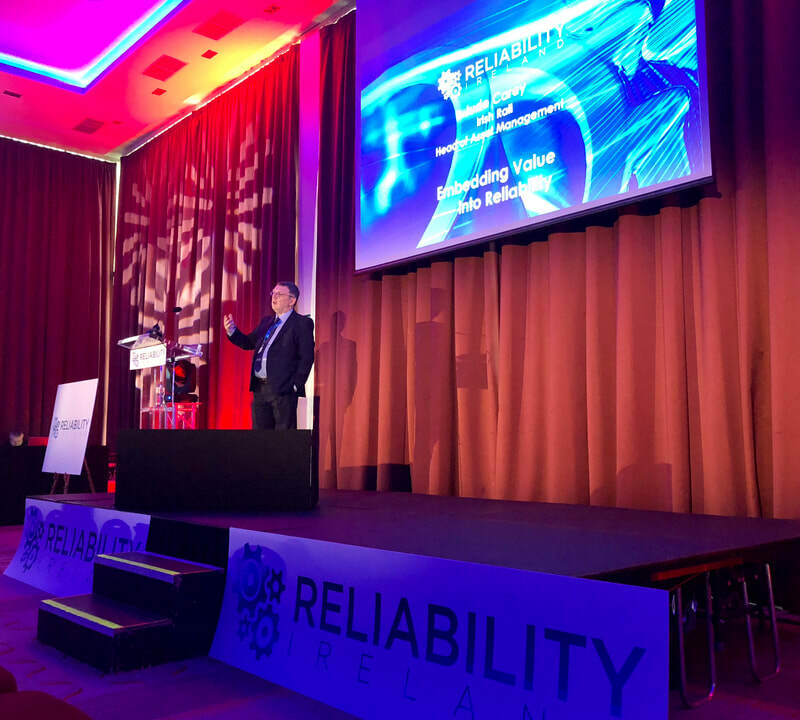 It was a bit of a race to get back from the Reliability Ireland 2019 conference in Cork to be in Southampton by Friday morning but with some careful planning and a quick pit stop in Coventry I arrived there the night before. Senseye have been friends and collaborators now for about two years and this has proved of benefit to us both. I get to learn from groups of data scientists whilst sharing my 40 years of front line experience with the last 15 spent specialising in predicting asset failures and strategies of how to mitigate them. This was the second half day workshop I had delivered to Senseye's team, both ran around the same format with the overall aim being to transport a group of software engineers, data scientists and product support specialists into what it feels like at the sharp end of manufacturing. Having worked for many years in production industries, utilities and other areas I can field most questions about how things work, break and how to best mitigate future failures. My last full time position working for PepsiCo I specialised for almost 10 years with predictive techniques and how best to deploy ever constrained resources; this usually comes down to how many hours, people and revenue was available. In this environment there was only so much you could sense check with hand held instruments and a trained data collector, something has to give and this usually catches you out. My vision back then was ideally an automated process that could handle 100s and 1,000s of outputs from disparate sources and trend them against each other in near real time. This is what a good PdM Technician can do via spreadsheets and in their heads, but they can only cover 10s to a 100 and have to go home to rest and reboot; automation does not, it's 24/7. 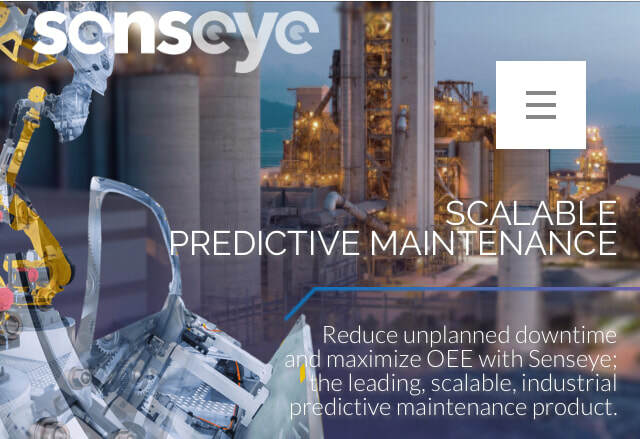 This would for me be akin to the 'holy grail' of Predictive Analytics, we are now ten years on from those thoughts I had and I believe SENSEYE have designed and formulated the solution, a truly scalable predictive maintenance solution and at an affordable cost. The workshop went very well with a lot of new faces as Senseye is growing at a fast pace. 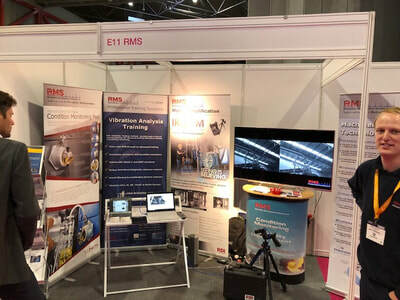 Some attendees had experience of working in the connected industries but the speciality of Predictive Maintenance is somewhat new to them so this is where I come in. ​In less then three hours I take them on this journey into a production environment, look at how people work, examine the interface between the technology and end user whilst fielding those all important questions they have about prediction, risks and consequences. 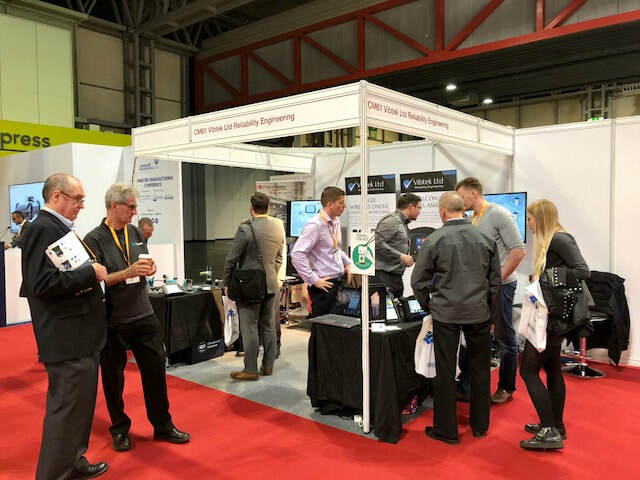 This show had been recommended to me by Chris Hallum of UE Systems after he visited the inaugural one in 2017. 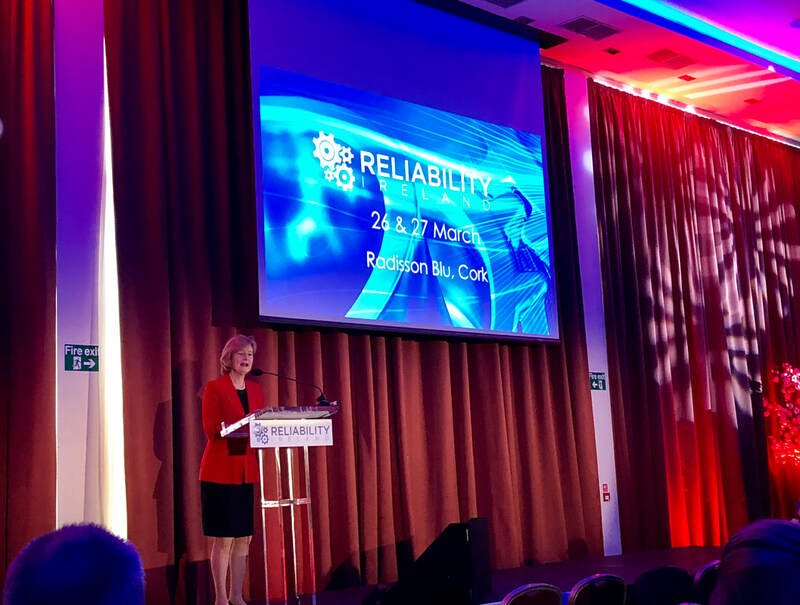 That was held in Ireland, then last year they branded it Reliability UK 2018 and it was held in Manchester. I couldn't attend that one due to work commitments so made sure I cleared my diary for this years event in Cork, Eire. 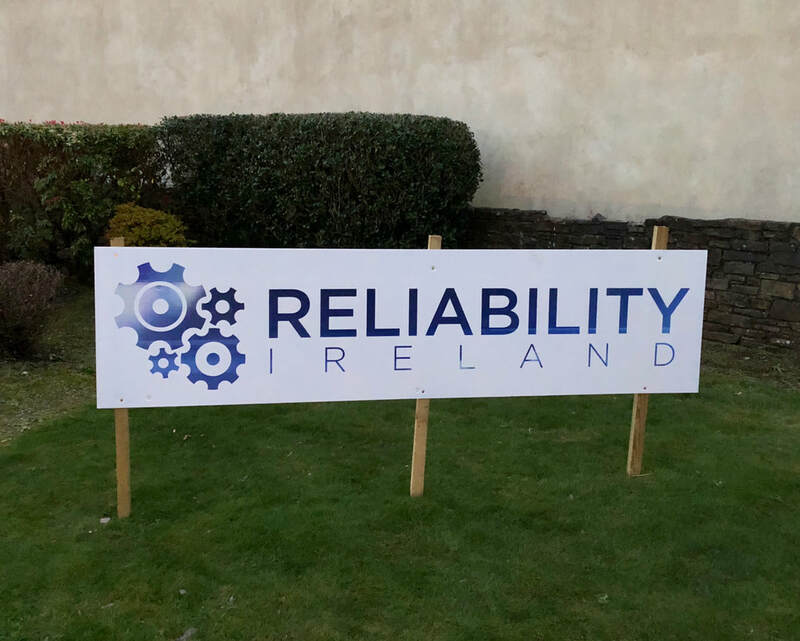 ​The people behind the organisation are a team from T. E. Laboratories in Co. Carlow, thus they have a deep interest in Lubrication services and laboratory fluid sampling, I was therefore expecting a large emphasis on oils, lubrication and sampling, this was not the case. 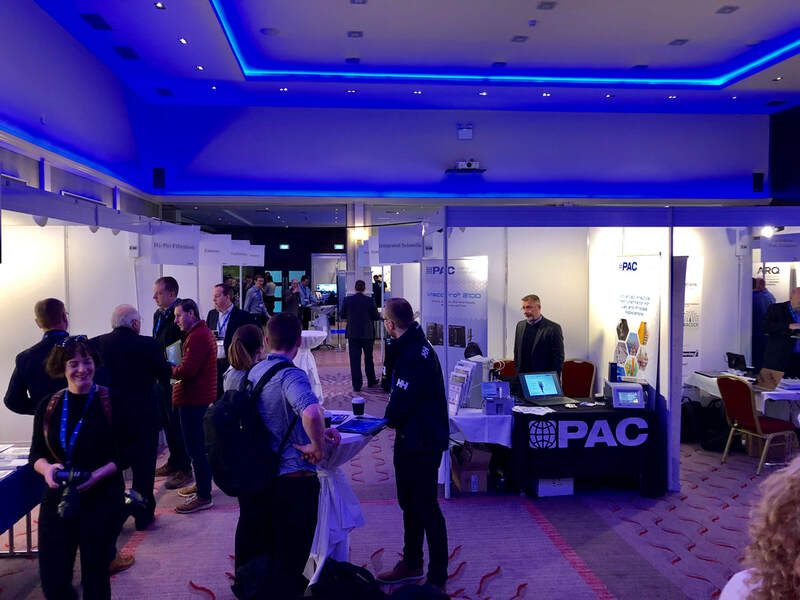 The vendors and specialists attending and the presentations were broad, some software solutions, hardware like UE Systems, consulting firms, production including Toyota, Irish Rail, pharmaceutical and much more. 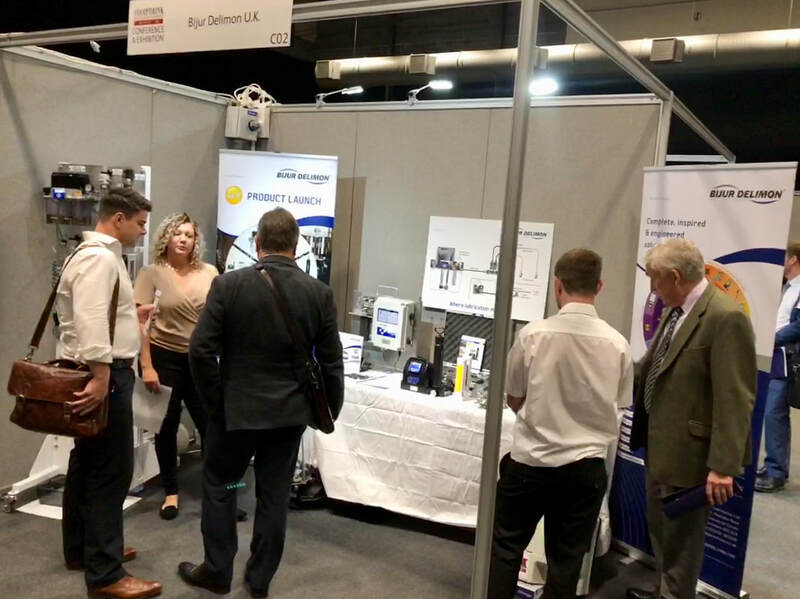 This show has grown from around 30 delegates in year one to about 100 in 2018 to 200 delegates this year, quite an achievement by the team at TelLab. 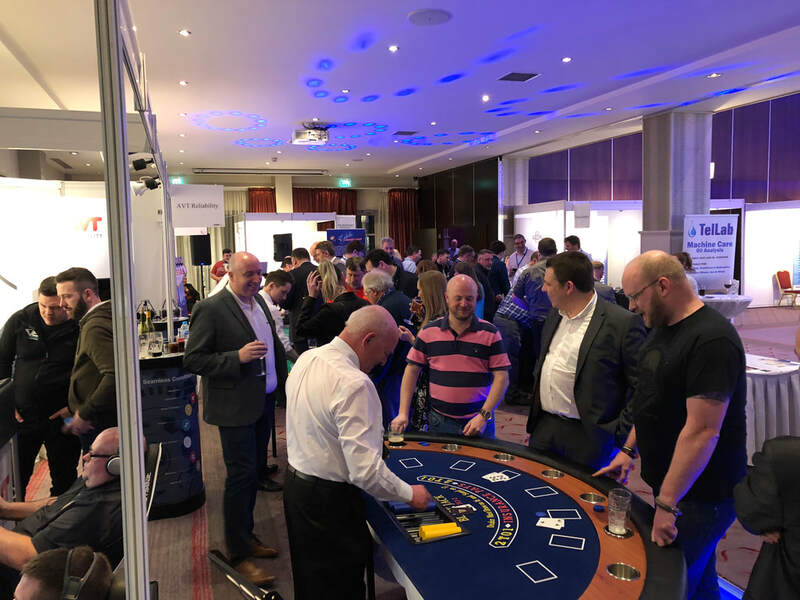 Below are some snapshots over the two days that included a social after day one with a trip to Jamesons Distillery for those who were interested in visiting. This is another place like the Triumph visit of a couple of weeks ago that I have been trying to fit in, we had a free day so took the opportunity of visiting the Castle Bromwich facility over Birmingham. 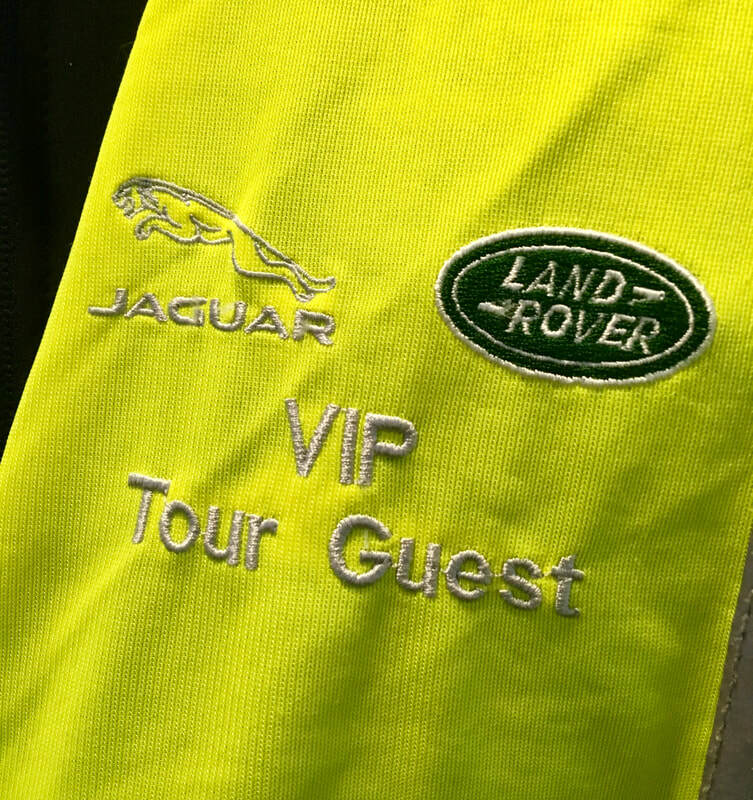 They run these visits morning and afternoon and we opted for the PM visit that runs from 13.00 - 16.00, so three hours of touring three of the main production shops. The site is so big that a tour bus transfers the group from one location to another, our group was only seven people so the tour was quite relaxed. Tea and coffee are available on arrival at reception before being taken through the all important safety video and putting on the hi-viz jackets. The tour starts at the new £500 million assembly shop that builds three models of Jaguar to customers order. 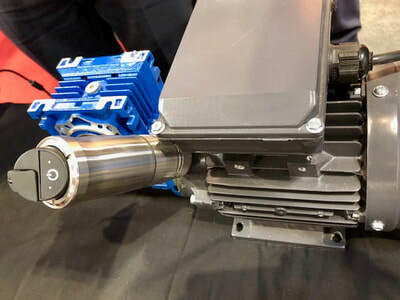 This was the main reason I wanted to visit to see the body assembly method with bonding and riveting of the aluminium shell, I had only been involved with traditional spot welded steel bodies before so the manufacturing method was new to me. 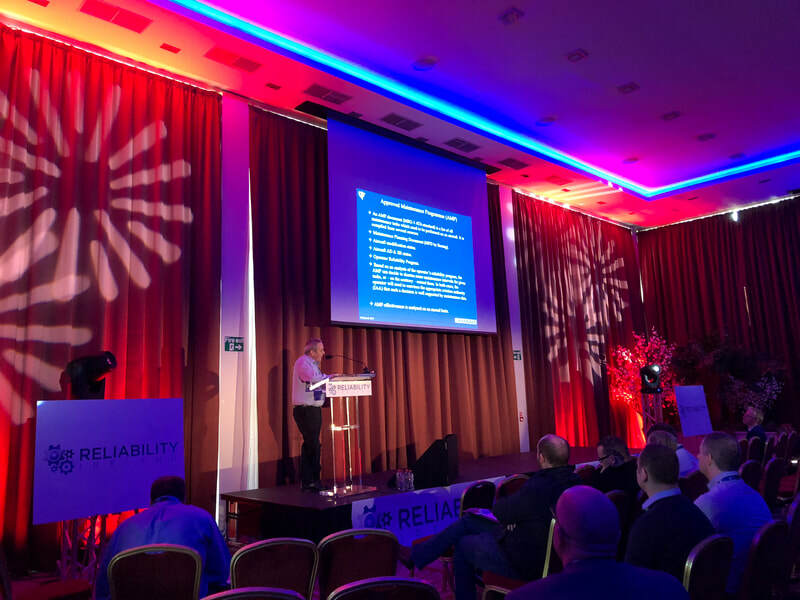 The main difference from a reliability perspective is that there are no welding contaminants in the air so less to infect the machinery preventing damage by carbon. The tour moved on through to see the XJ build shop which is where thousands of Spitfires were built during WW2, you could smell the history in this building, we also visited what was the on-site hospital that looked after the workers back then; I didn't realise Lancaster bombers were also built there as well. The tour moved on to the final build assembly where bodies meet drive trains all the way around to final inspection and dispatch. 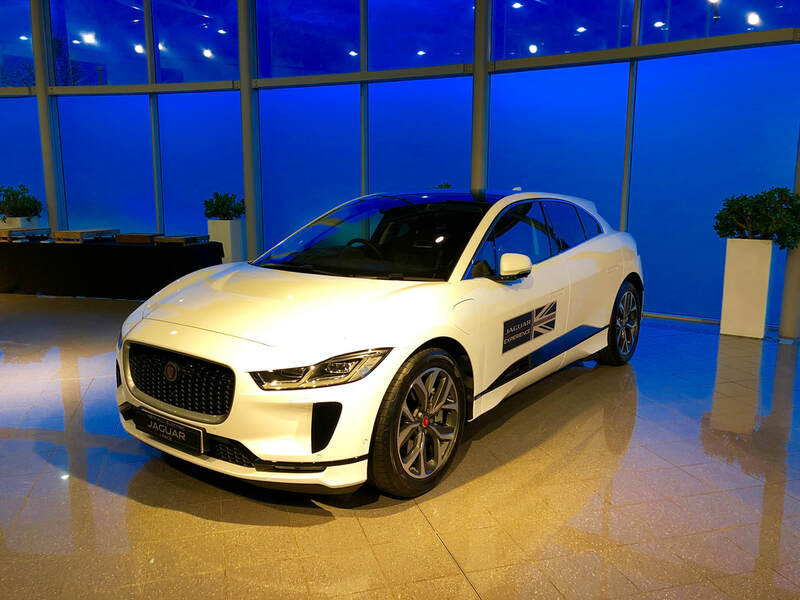 We finished back at the visitor centre for coffee, cake and a look around the new I-Pace vehicle. 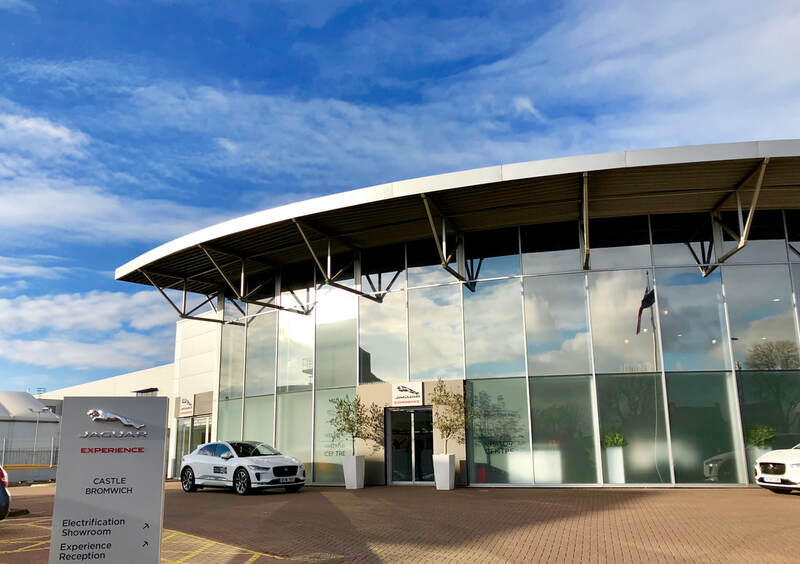 ​If you can free up half a day this is a great value visit for any engineer or car fan... recommended. ​We had planned to get over to Hinkley for months but the summer got in the way, I finally went on-line and bought the last two tickets for the 10.30 tour yesterday for the bargain price of £18 each! 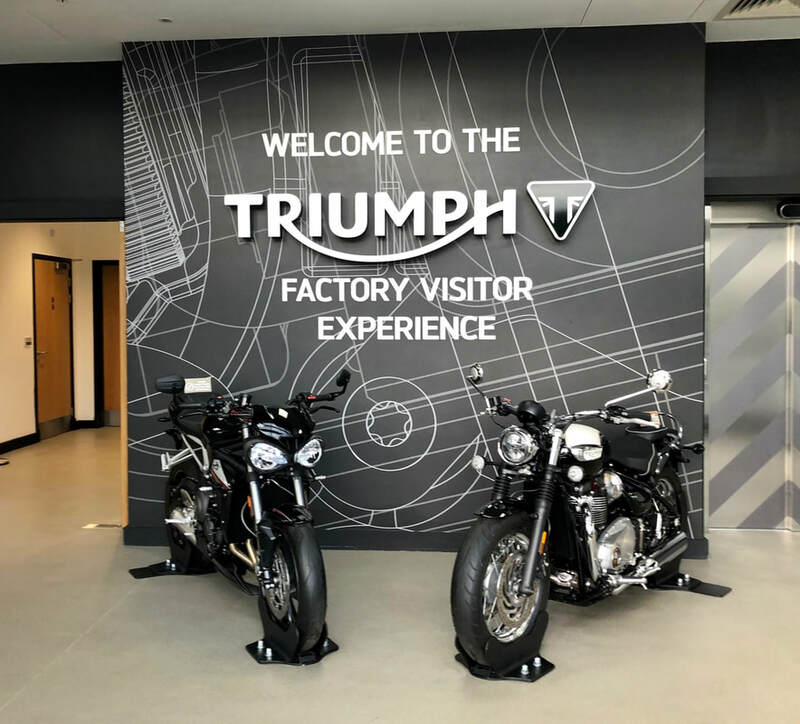 The home of Triumph is in Hinkley, UK but when I was a youngster it was still based in the village of Meriden, in fact one of my school mates Dad work as part of the Triumph co-operative before it collapsed in the 1970s. The tour is 90 minutes long and there were 15 people on our tour which is the maximum I believe, it was just right and the two guides that showed us around were very informative. It starts in an ante room where everyone gets to wear a Triumph Visitor hi-viz and an in the ear device to listen to the chaps as they guided us around whilst fielding questions about the processes. Everything is under wraps so no recording or any use of mobiles whilst on the tour, we still got to view some rare sights as we were there whilst 2018 production was giving way to the new bikes for 2019. 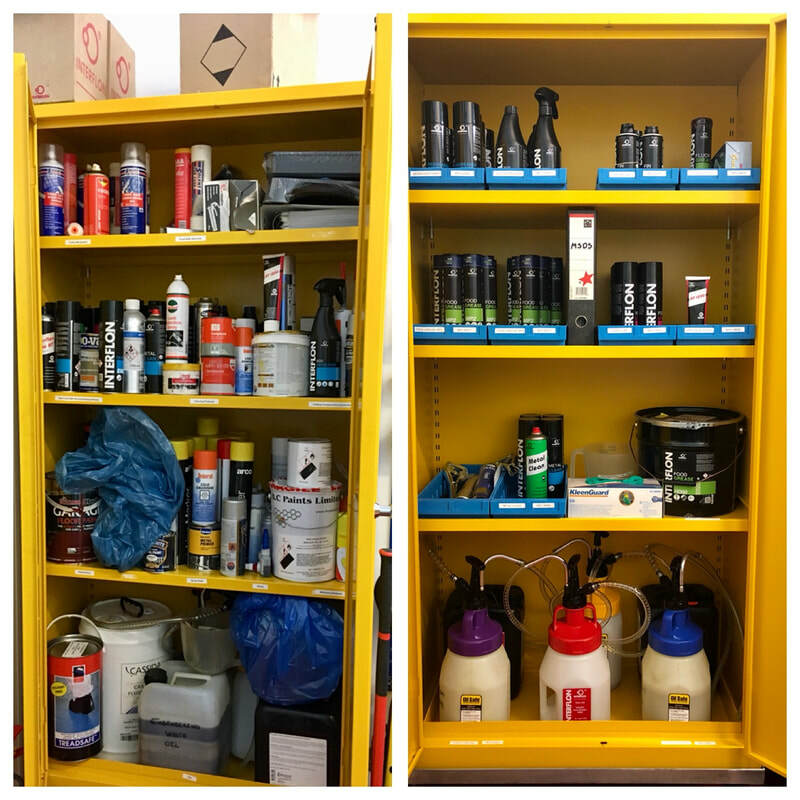 The first port of call was the logistics where all the component parts are received and dispatched to production, we then moved through to the high bay storage where finished motorcycles are racked on their own delivery skid seven rows tall. The total capacity of the store which was half full is 6,500 bikes or approx £65 Million! Each motorcycle we saw in stock is an order awaiting pick up and delivery to dealerships all over the world that their clients have ordered, they hardly make anything for stock at Hinkley. The models they manufacture in the UK are all they high value high capacity type bikes hence all the Bonnevilles are manufactured in the far east for cost and parts logistics as most of the components or raw castings are manufactured there. The tour then takes you around the Crankshaft CNC machineshop, past the R&D block, the Metrology in the centre of machining, the crankcase CNC shop then through to the main assembly. Here you get to see the hand finishing operation with wheel pin striping before being taken around part of the assembly line where bare engines having shells fitting become a fully ladened machine. The last operations to fill the cooling system in less than a minute and the hydraulics in seconds is very impressive. Finished bikes then get the rolling road treatment until the petrol is exhausted when the ECU is automatically locked for shipment, only the dealer receiving the bike has the code to unlock it, neat trick to thwart theft of complete bikes in transit. This area is where we got to see six brand new 2019 spec Scramblers ready for dispatch for a press launch, impressive looking bikes they were to. The tour ends back in logistics where more customer orders were awaiting delivery to France, Japan, Netherlands in fact all over the planet. If you ever get the chance to visit and can be lucky enough to get a ticket it's a must visit. Next door is their small museum and cafe with some iconic motorbikes on display. 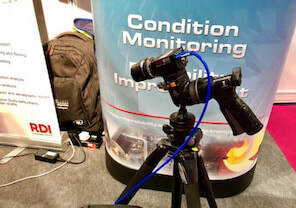 ​I have been attending this show for the past year and have seen the technologies leap ahead even in that short time. 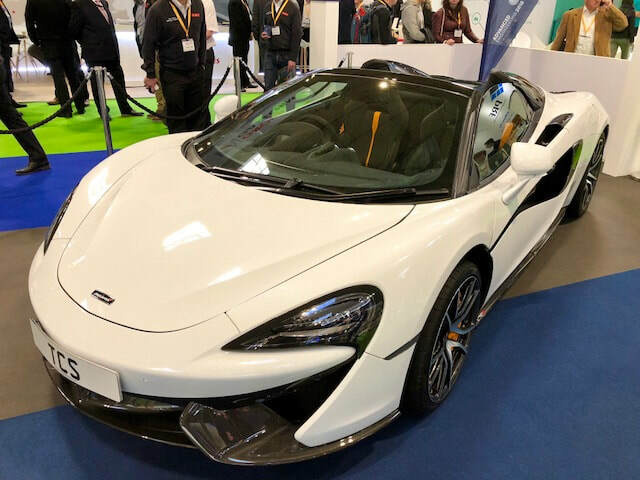 What stuck me this year were the amount of manufacturers involved in composites, they took up nearly a whole NEC hall, looks like a very competitive market. Some very impressive exhibits from the automotive, aerospace and boat building industries. 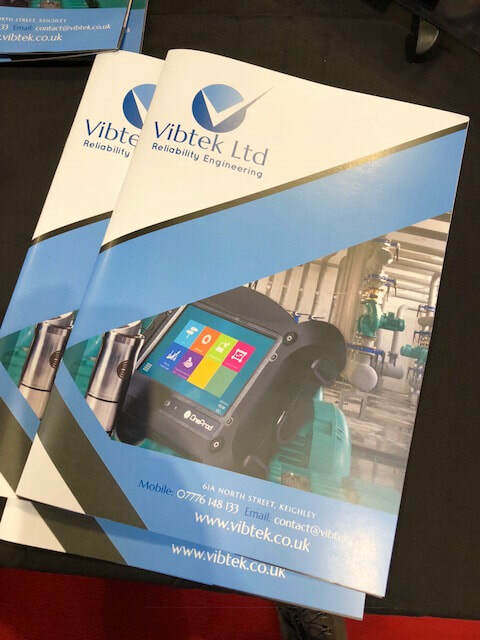 Good to catch up with Matthew Gill again and have a chat about Vibtek Ltd Condition Monitoring offers. They market an interesting four sensor kit with a gateway for a remote monitoring solution that can be scaled with additional sensors if required, see above. They also have a more traditional datalogger with a wireless triaxial sensor and all of the sensors capture surface temperature as well. Vibtek have lots of experience in off shore oil and gas as well as the automotive sector, worth getting in touch with if you are thinking about applications or hardware. Always a pleasure to have a talk with RMS Reliability Maintenance Solutions Ltds Keith Gallant CRL about Motion Amplification and Condition Monitoring in general, we often share the benefits we have found and consider applications for this 'new' technology. 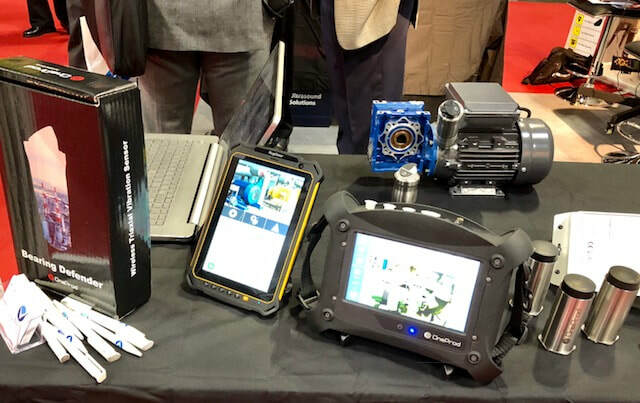 Keith was most enthused by a new higher resolution camera that is on it's way that will further expand the range of the instrument to deliver even more applications. This technology I believe is the first genuinely new big step in condition monitoring in the past 10 years or more, if you haven't seen it I advise you go look at some of the videos that Keith and his colleagues are sharing on YouTube. We can now see vibration with this technology. TUNKERS - Expert UK Ltd are a company I have come across since working with Nissan UK when I met Martin Bevan at the North East Automotive Alliance a couple of months ago. He's a great chap who really knows his transfer and automated conveyor equipment, I believe they operate primarily in the Automotive sector although I could see many applications in Food & Beverage and other FMCG sectors. Really quality looking equipment that could take a lot of punishment, well worth considering in my opinion. 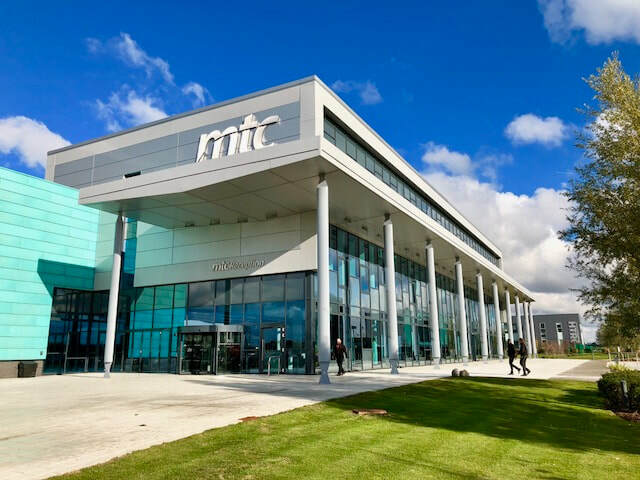 Monday and Tuesday this week was spent at the MTC in Coventry where I am an associate member involved with the business development unit that concentrates on helping SMEs with productivity improvements. 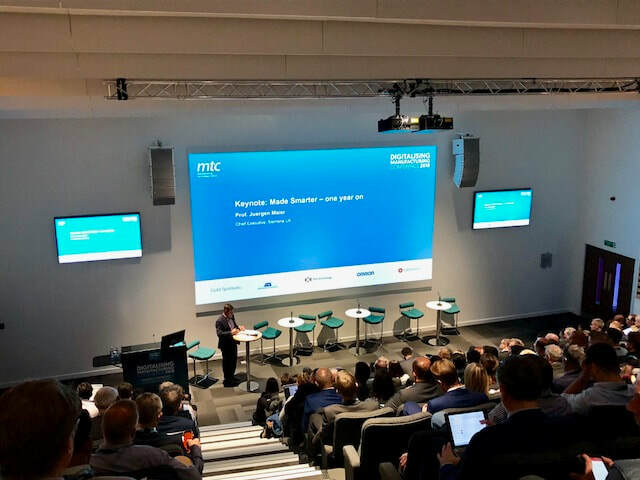 I attended last years conference where the Made Smarter Review was launched and the first keynote on Monday was again delivered by Juergen Maier CEO of Siemens UK who revisited the steps made since that weighty volume was published. Slowly but surely seemed to be the main message backed up by the chancellor latter in the day (it was budget day) depositing over £120 million into an Made Smarter implementation strategic fund. 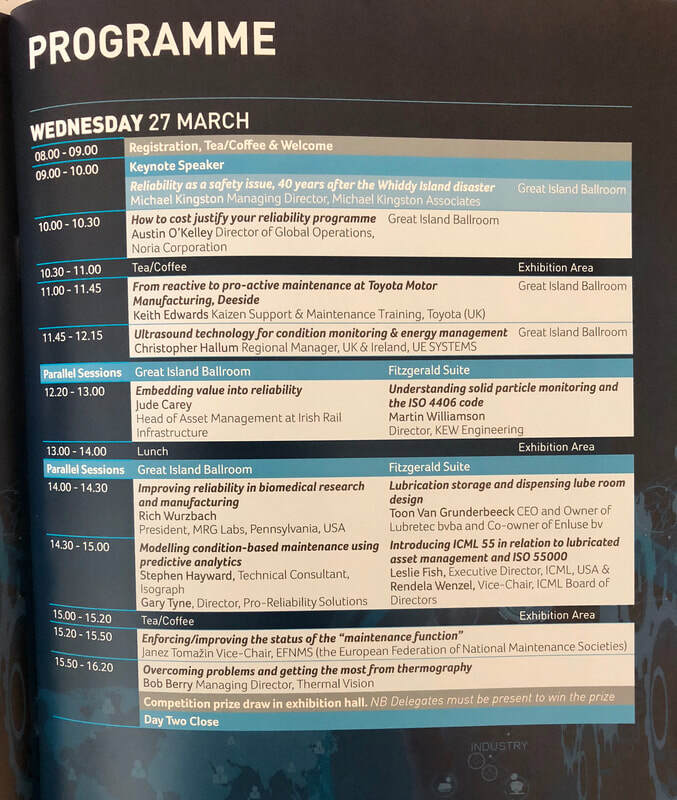 Day two was a fairly full agenda with interactive workshops with presentations looking at Flexible Manufacturing, Labour and Skills, Digital Readiness, Asset Utilisation, Quality, New Business models and more. 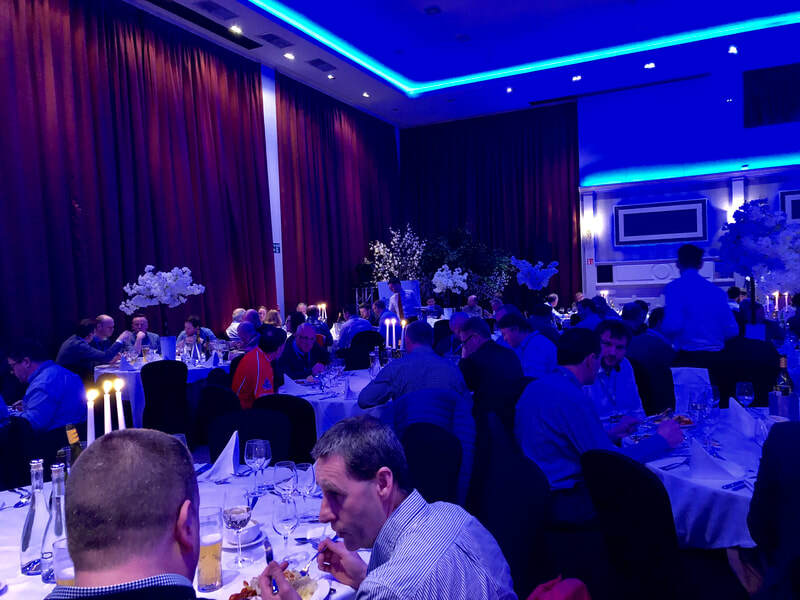 ​Sponsors and partners that took part included Omron, ATS, FESTO, DXC Technology, iBASE, rexroth, outsystems, IET, GAMBICA, MTA and The Manufacturer. Interested in the future of Condition Monitoring? 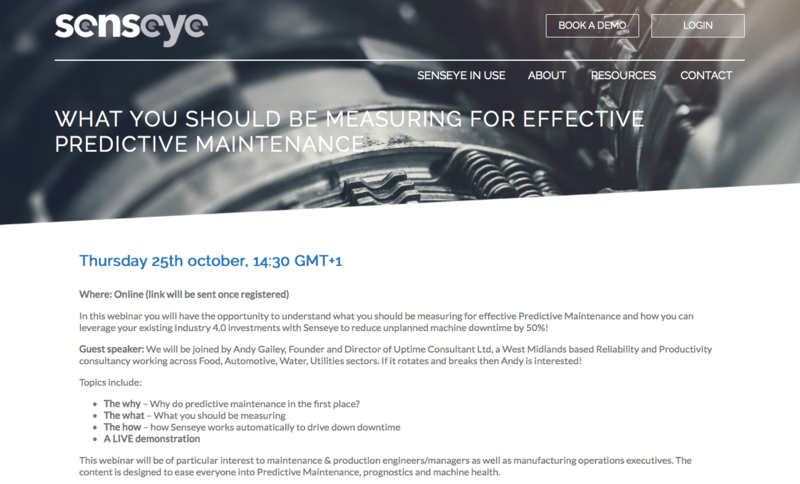 Pretty excited to be collaborating with friends Senseye as a guest on their next free webinar in a couple of weeks. If you are slightly interested in the future of predictive techniques, why to implement Condition Monitoring and how to get the best results from sensor placement then this is for you. 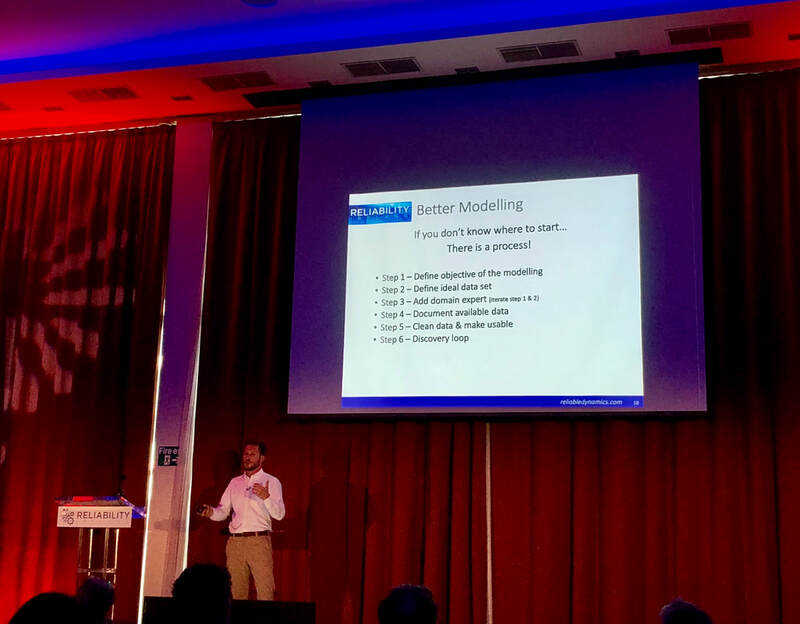 There will be some great insights from Lars Ulph with a demo of the very intuitive dashboard that supports the important human feedback element, still very important in the connected work environment. These webinars end with taking questions from attendees that are gathered during the presentation. ​There are usually too many to answer on the day but you can always drop me your comments and thoughts and I will answer all of them. Why not join the conversation and look into the future. This show location is local to Uptime Consultant so we can be there or back home within 10 minutes so I always attend if I'm not busy with a client. 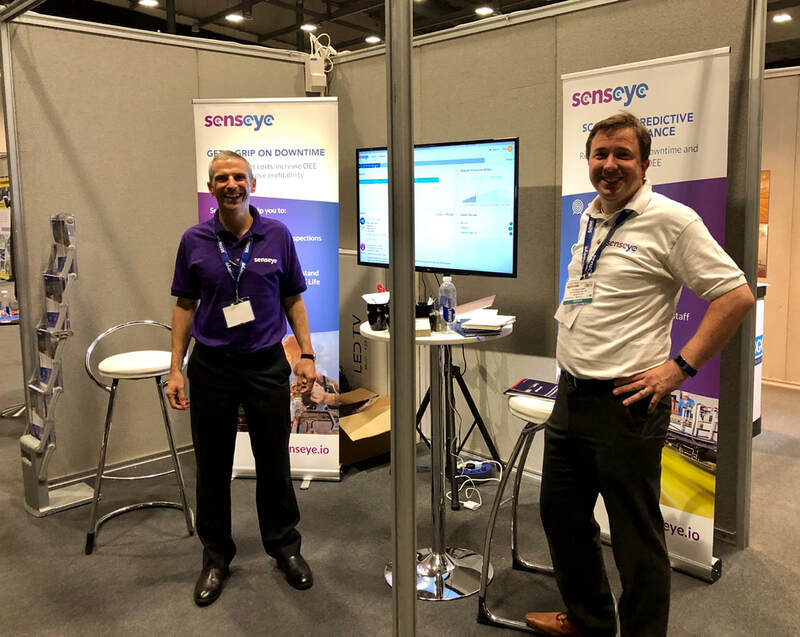 First stand through the door was Senseye with these two chaps who I have collaborated with in the past and plan to do some more in the near future. 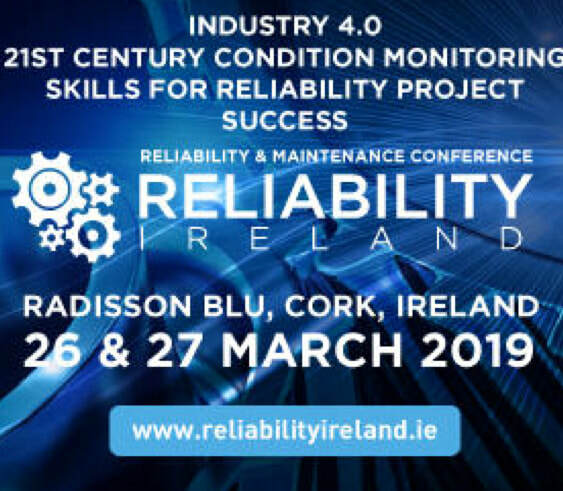 If you are interested in what the future of Condition Monitoring will look like I thoroughly recommend you go take a look at what these guys are doing, it not only works, it is in service now saving companies time and money. This particular Food & Drink show has been around for a couple of years but it's quite strange with a broad range of speakers in eight small presenting locations covering everything from Process to Engineering and everything in-between, over a hundred presentations of 15 mins long is maybe a little too much? There's an area that I would say is Utilities including Water, Power, HVAC and all that important stuff. 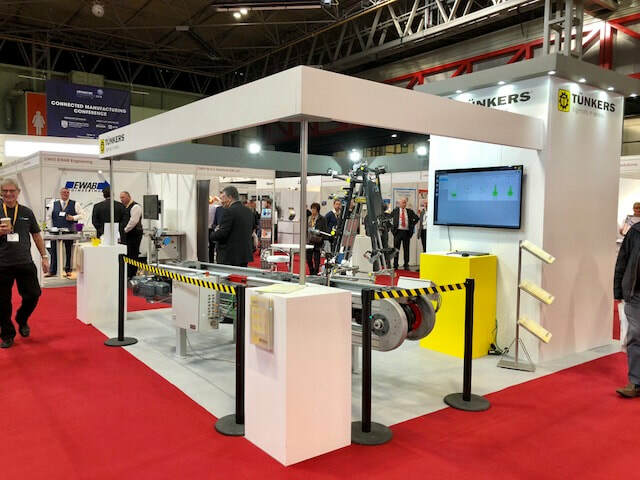 Some equipment suppliers, one lubrication stand from Kluber who are a main player in F&B, pumps, auto lubrication. 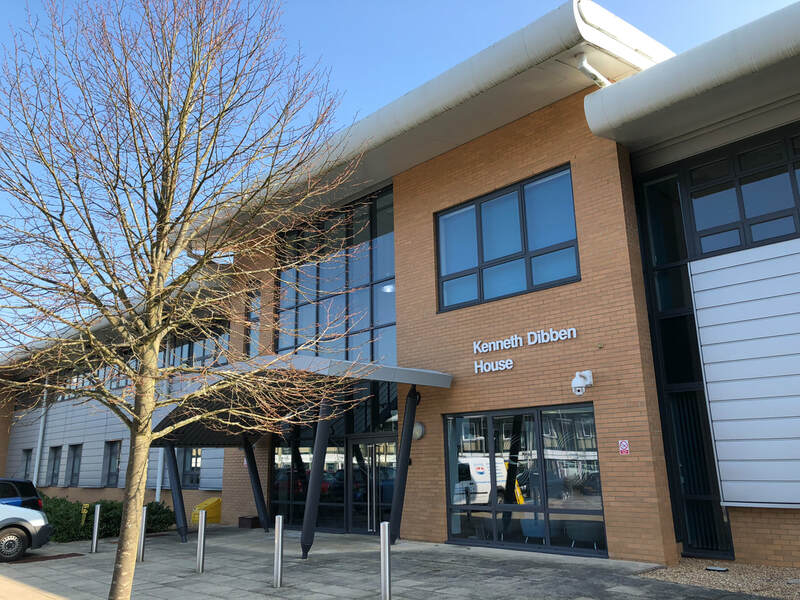 Had a good chat to Steve Worth of Kluber to help me out with a special process application, and that's the beauty of shows that I get to put a face to a name and start to connect.. you can't do that on a phone or on-line. 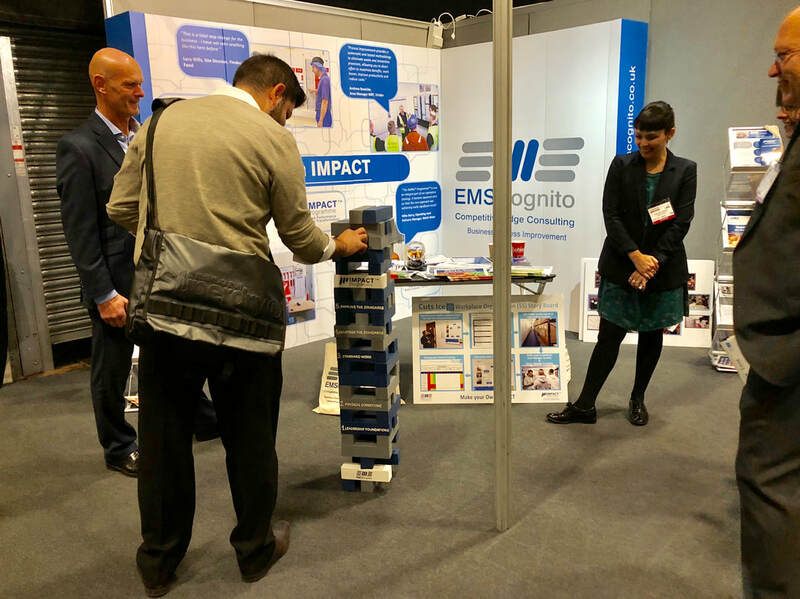 ​Another excellent company who helped me when I started Uptime Consultant is EMS Cognito who always have a Jenga game going on, I passed on this challenge but this guy did well.. look at the whole thing balancing on one block down at the bottom! ​He did it as well, got that block out and placed it on the top, no problem. Richard Kelly the MD is the dapper chap on the far left. ​Interesting product launch from Bijur Delimon UK that can be seen here in the centre of the shot, the CLP Auto Lube. CLP stands for Cartridge Lubrication Pump I believe. 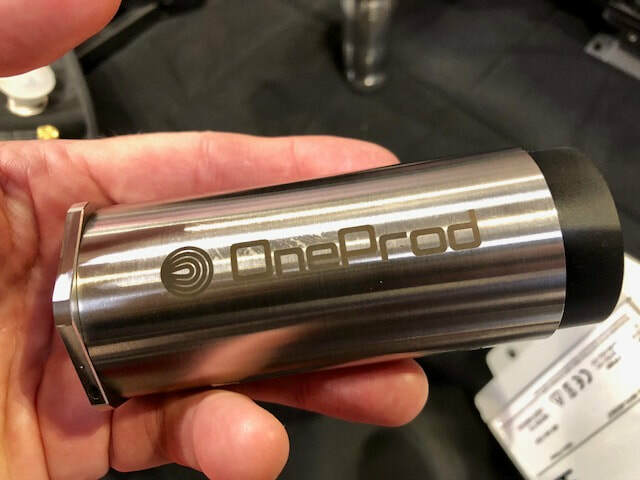 It's advertised as a plug and play auto lubricating device that takes any standard cartridge instead of the larger volume vessels that can be a problem in my experience with replenishing and the carrier splitting from the lube. Stuart the application on the right in the white shirt was telling me how versatile and affordable this unit is, below £1,000 for an installation was quoted. Not much more to say really, it works for me as I was able to catch up, make new connections and it got me out of the office for a morning. 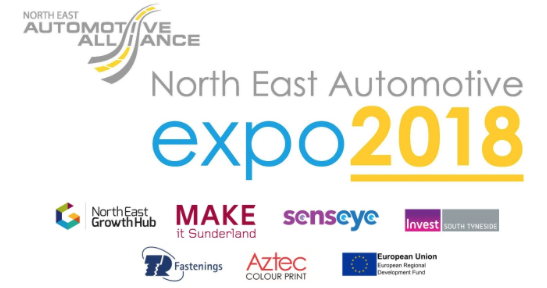 A very well organised event at Sunderland's Stadium of Light for the NEAA pre expo dinner. 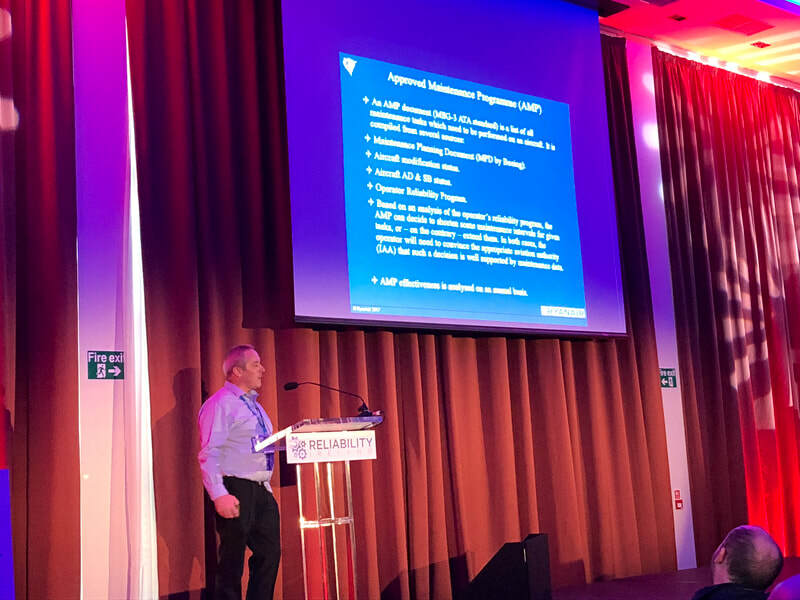 Very interesting keynote from Lawrence Davies MBE from the Dept for International Trade setting out the challenges for the whole automotive sector here in the UK and wider afield, some great points about how a generation of younger people have fallen out with the 'right of passage' of becoming a qualified driver. How smart phone technology has reduced the need for vehicle ownership and how owning a car may have lost it's appeal in comparison. 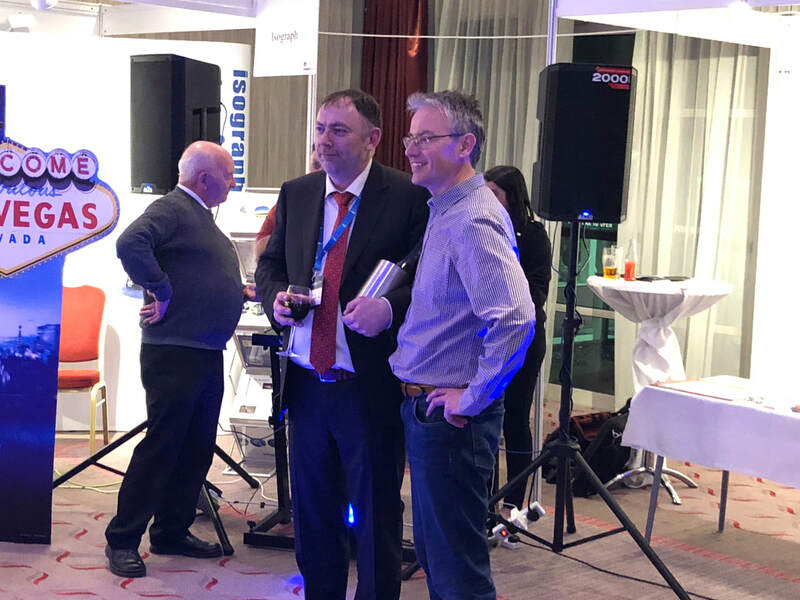 The company was excellent on the table sponsored by my hosts Senseye and it was great to catch up and chat with CEO Simon Kampa and CTO Rob Russell about how Condition Monitoring is developing at the forefront of technology using their software solution and diagnostics. 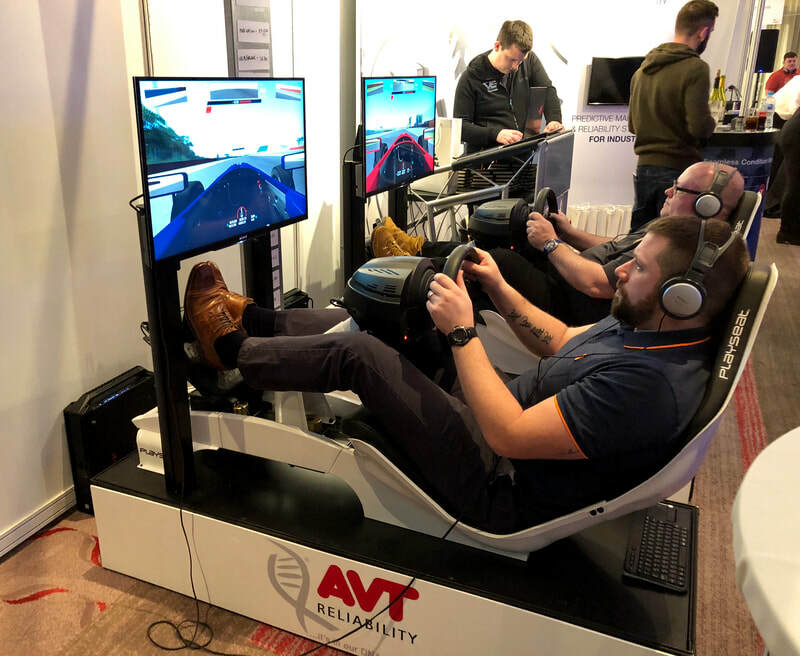 A couple of my contacts from Nissan UK were also on the table so it was also good to see how they had benefited from the training days I delivered there end of 2017 and earlier in the spring. 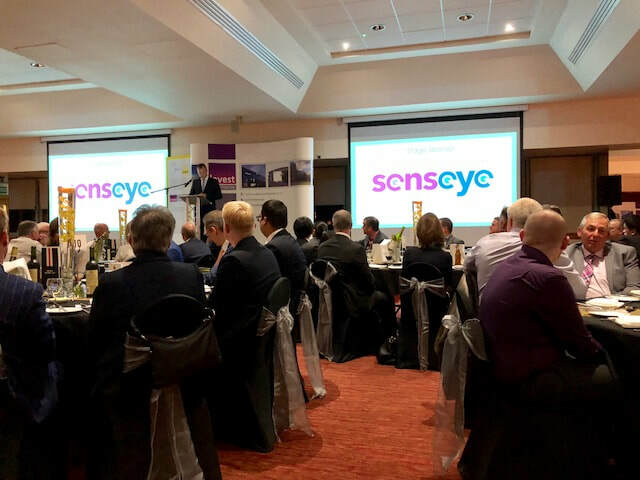 Many thanks to Senseye for inviting me along for the evening.